I was a bit sad that I did not find any poster with Sarah and Kyle in it. I was expecting at least one poster with Sarah’s photo. 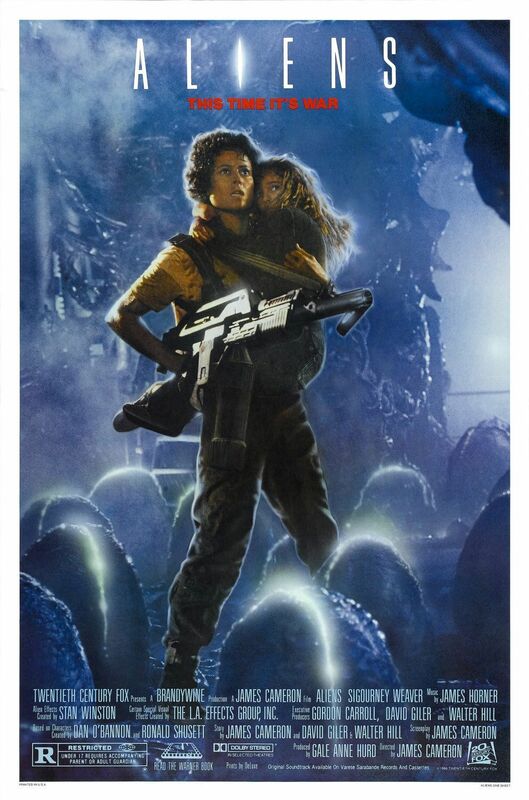 I watched Aliens yesterday and I made a comment that considering The Terminator came before Aliens, I did not find the visual effects of Aliens that interesting. I take my words back. Within two years, there was a giant leap in this matter. The visuals of Aliens must have been even tougher, yet they look much more credible and blending into the environment. Of course we need to consider the budget and the production houses that produced these two films, as The Terminator was produced by a relatively small company, there must have been budget restrains. 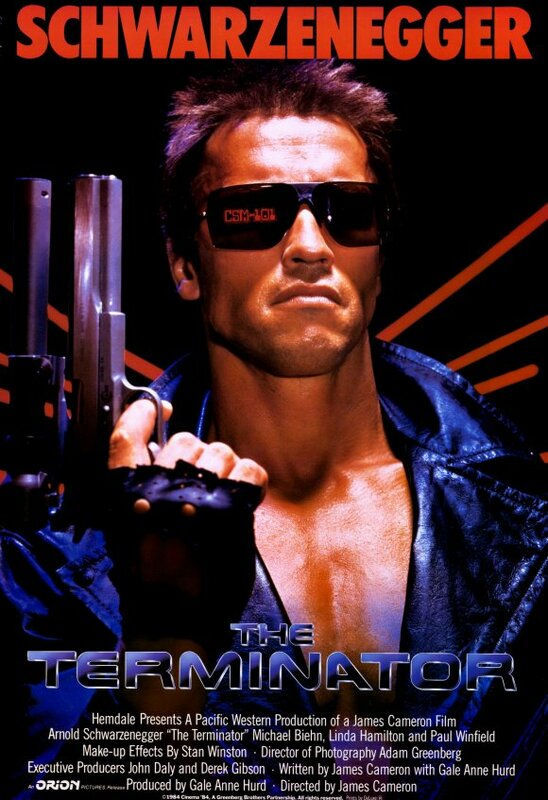 As a kid I always remember watching the second part on television and I loved watching Schwarzenegger as a good cyborg. When I watched the original Terminator for the first time (about 7 years ago), I wasn’t totally convinced with a soldier from the future fighting a machine. Now as I think about it, it makes so much sense. Fun facts #1: James Cameron was ready to sell this script for one dollar with one condition that he gets to direct the film. Many leading production houses offered him a good sum but did not agree to his condition. Cameron did not have any commercial film under his name. Fun fact #2: The terminator originally was supposed to be a character with a regular physic so that it could blend into the crowd. The role was offered to Lance Henriksen first and Arnold Schwarzenegger was supposed to play Kyle Reese. The film belongs to either the science fiction genre or action genre. For me the parts which I actually remember are the small moments which the lead actors share together. Watching the film after about 30 years from its release, the novelty of the visual impact fades out but the powerful few lines are mesmerizing. That is what the writer director has done to the film. A powerful aspect of the film, which is exposed in the second part is the dawn of the cyborg. How Skynet forms the concept of such a machine which leads to the disaster of mankind. The same mechanical arm detached from the terminator sent back in time, leads to the development of an entire generation of machines. So ultimately, the genesis of the whole series could be, a man willing to go into the past to spend a few hours with his love accepting that doing so would endanger the whole mankind. Are we considering a love story over here? Well, it is one way of looking at it!